Over the years, the Election Commission has been tightening the noose on political parties to ensure that they honour the Model Code of Conduct for free and fair elections. The code itself has become more rigorous and its enforcement, stricter. Gone are the days when political parties could organise command performances to produce opinion polls that provided the results they desired so that they could influence the voting pattern midway through an election. Surveys and opinion polls, including exit polls, are now banned until the last vote has been cast, plugging a loophole that was widely abused. The Election Commission has further tightened the rules for the 2019 Lok Sabha election in a bid to curb misuse of social media and fake news, which was threatening to derail the whole process of free and fair elections. The latest in the series is the clampdown on "surrogate publicity", a relatively new trend of using artistic creativity to project political parties and personalities in a certain way that will help them win admiration and, in turn, votes. 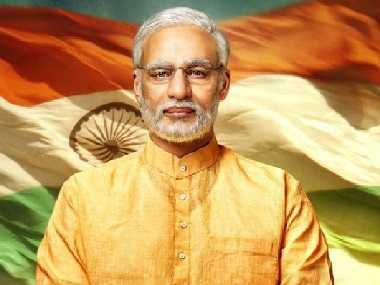 In a clear case of proaction, the polling watchdog disallowed the release of the film PM Narendra Modi, a biopic on Prime Minister Narendra Modi readied in perfect timing with the election, on the ground that it was in "furtherance of electoral gains". The film was meant to be released on 11 April, the first day of polling in the seven-phase Lok Sabha election. While stalling the release till after the election, the commission also referred to similar biopics, such as Lakshmi's NTR and Udyama Simham, which eulogises Telangana chief minister K Chandrashekhar Rao. The Modi biopic had secured clearance from the Central Board of Film Certification, while the Supreme Court had refused to stop its release saying it had no time for such "non-issues". It is in this context that the commission's intervention is considered decisive, especially since the conventional regulations were found inadequate to deal with a concerted increase in the use of new media, including movies, television channels and social media platforms, for election campaigns. 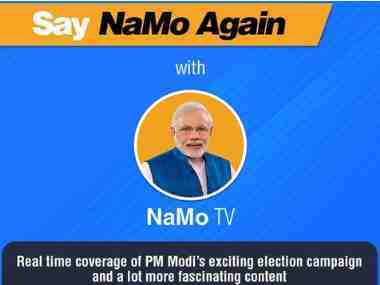 The mysterious NaMo TV channel was also denied permission to air pro-Modi content for the same concerns. The Election Commission said it was "prohibiting the display in electronic media, including cinematograph of any biopic material in the nature of biography/hagiography, sub-serving the purposes of any political entity or any individual entity connected to it." The poll panel held that such "creative content are a kind of surrogate publicity by the candidate or the political party during the period of MCC (Model Code of Conduct). Though the display materials claim to be part of creative content, it is contended that these have the propensity and potential to affect the level playing field, which is not in consonance with the provisions of the MCC." By bringing up "the level-playing field", the commission may be getting into a totally uncharted territory. It has prevented the Modi biopic from doing the objectionable, but Modi himself is hopping around the country as the prime minister and campaigning for his party with aplomb. And there are situations where the line separating his official work and active campaigning is hardly discernible. There has already been controversy aplenty over his reference to the Balakot air strikes in political speeches and his appeal to first-time voters to exercise their right to vote keeping in mind the supreme sacrifices of the armed forces for the security of the country. These are classic instances of the two roles of the prime minister getting mixed up. 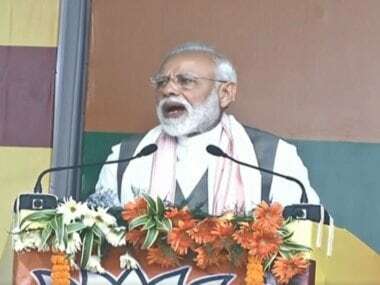 Punjab chief minister Amrinder Singh called Modi's reference to Balakot in political speeches as "shockingly disgraceful" and moved the Election Commission against what he called "a clear case of violation of the code of conduct, which constitutes the bedrock of free and fair election". In a country where millions can't tell the difference between the national flag and the Congress tricolour, the identities of Modi as prime minister and as a BJP leader are inseparably twined, giving him an undue advantage. Maybe someone will challenge this some day, just as it was done in the case of the Modi biopic, which forced the commission to act. Veteran public relations specialist Dilip Cherian of Perfect Relations said the movie has achieved its objective even before reaching cinemas. "By occupying the conversational space, the film has already done what it was supposed to do: it has created a positive vibe around Modi. When the movie actually hits the screens, there could be all kinds of views about the quality, content, etc," said Cherian, whose agency has handled many a high-profile PR event for prestigious clients. "As for the channel, it was basically meant for die-hard Modi fans to reinforce their support and not to attract new 'clients'. So it doesn't matter much," he added in typical PR terms. On Modi getting an advantage unavailable to others in the field, Cherian pointed out that the US presidential election also sees the same situation, wherein the incumbent campaigns against the challenger as the president. Consulting editor of The Economic Times TK Arun also sees nothing wrong in Modi claiming credit for what his government has done and using that to canvass support for his party. "It's a privilege available to the incumbents in office, and that's how the system has been all these years. There is nothing new in it," he argues. Once the Model Code of Conduct comes into force, all official events are mandated by the Election Commission, as a result of which it can exercise control over what is happening. Numerous complaints have already been filed with the poll panel over alleged poll code violations by political leaders and parties. Both arguments are right in their own way. But in a country that has the world's largest adult illiterate population, the subtleties between an official function and a political event are completely lost. Also, comparison with western democracies is fraught with risks. Worship of power and admiration for those who wield it are integral to the Indian culture, and a level-playing field with an incumbent prime minister for the Opposition will be a game-changing proposition. Despite all that the Election Commission has done so far to ensure a free and fair election, it requires a lot more gumption to discipline a prime minister, least of all someone with the personality of Narendra Modi.